MS Dhoni- An asset or a liability? Enough words cannot be said about Mahendra Singh Dhoni's contribution to the Indian Cricket team. The Indian Cricket team was always playing good cricket but they were faltering at the final stage every time. Then came MS Dhoni and our team's trophy cabinet got completed and updated too. His skills behind the wicket will be a reference to the upcoming generations. However, with the World Cup just a few months away, Dhoni's role in the team has come under the scanner. The main reason for this has been Dhoni's failure to perform well with the bat. 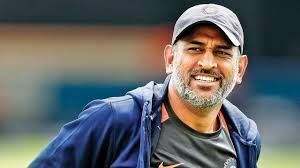 It would be risky to try out a new wicket-keeper for the World Cup now and hence Dhoni and the team management has to sit down and clarify the World Cup-winning captain's responsibilities in the team. It is no doubt that Dhoni's brilliance with the bat is just an innings away. Having finished a number of matches for India, MS Dhoni's experience down the order will be critical to the team's performance. Behind the wicket, the Jharkhand player can save a lot of runs, complete brilliant catches and effect some unlikely run-outs too. Being the best captain that India has produced, MS Dhoni's suggestions to Virat Kohli when the team comes under pressure will be pure gold. There is no better cricketer in reading the game than MS Dhoni and his inputs to young players in the team will create a positive atmosphere in the change room. These factors will not make the selectors look away from Dhoni until the World Cup. MS Dhoni: An asset or a liability? MS Dhoni has lost his touch with the bat in recent times. He has been batting at a poor strike and getting out at crucial junctures. His big sixes are becoming rare and only his quick running between the wickets is reminiscent of the earlier Dhoni. With the Indian middle-order having its own issues, Dhoni's poor form has been adding more worries to the management. Apart from the rare hiccups with the gloves, Dhoni will not be a concern behind the wickets. If Dhoni can find his past form in the upcoming matches, the team management will heave a sigh of relief. FINAL VERDICT: Dhoni is just a few knocks away from a run of good scores. With his tremendous experience as a cricketer and a wicket-keeper, it would be wise to continue with MS until the World Cup.